In an effort to build the best product and cause no unnecessary harm, we carefully consider our use of textiles, treatments and processes. Here you’ll find our thoughts and practices on everything from paper use to compostability. Bamboo is a fast-growing plant that requires no synthetic additives to cultivate. But when bamboo is processed into rayon fiber for clothing and other products, the need for a toxic chemical solvent negates any claim that bamboo fiber is sustainably produced. “Biodegradable” and “compostable” claims are appearing on many consumer products – from detergents and flowerpots to plastic bags and even textiles. But because of the way we dispose of solid waste, these products are never given the chance to break down or decompose. Wetsuit rubber made from limestone isn’t any more environmentally friendly than wetsuit rubber made from petroleum. Both materials have some pretty serious environmental consequences, though limestone spills are a lot easier to clean up. The fluorochemicals used in most water-repellent finishes and waterproof membranes don’t break down in the environment and may pose a threat to public health and safety. Working with our partners, we have found some alternatives and are searching for others. Making plastics and synthetic fibers out of renewable resources instead of petroleum is a fantastic idea. But most polylactic acid that’s used to make fiber is derived from genetically modified corn. Genetic modification of plants threatens biodiversity, may pose risks to health and safety, and gives corporations way too much control over our agricultural system. PVC and phthalates are commonly found in inks used for screen-printing T-shirts, posing a potential health and safety concern. We use inks that are PVC- and phthalate-free. We want to give our customers the highest assurance possible that the geese that supply us with down are treated humanely. To that end, over the last several years, we have been working to develop both short-term and long-term alternatives to the use of down from live-plucked or force-fed birds. Here is a timeline of our examination of the Patagonia down supply chain. At Patagonia, we try to exhaust all options before one of our garments is relegated to the recycling bin, but eventually even the most durable products will come to the end of their useful life. We are diligently trying to find innovative closed-loop recycling solutions and upcycling opportunities to deal with what’s left of these items. The library contents listed below provide helpful information on how we monitor, improve and measure social and environmental performance in our supply chain. In the interest of greater transparency, here you’ll find a list of our finished goods factories. SER staff scores factories on performance to help Patagonia and our suppliers see where they are on the corporate responsibility journey - from implementing basic practices to demonstrating leadership. The internal scoring system is based on existing Fair Labor Association and Sustainable Apparel Coalition tools. Hours, wages, workers’ rights: Read how we expect our suppliers to treat their employees and the communities in which they live and do business. 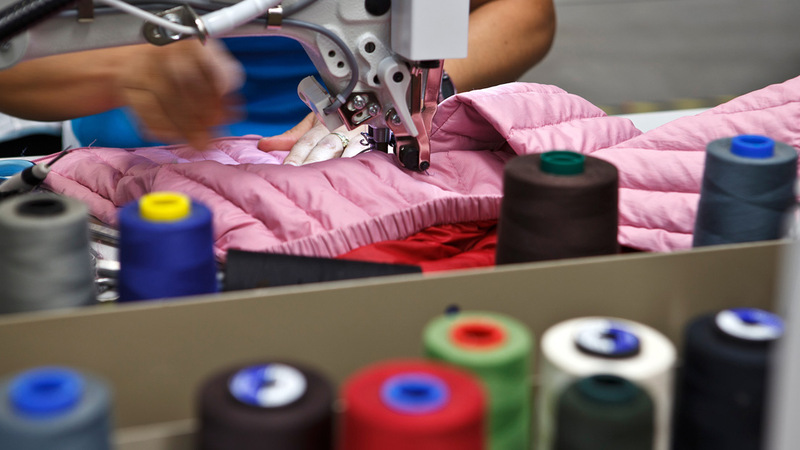 Find out here how Patagonia measures compliance with each of our Code of Conduct standards. We consider a slew of factors when deciding where to make our products. Quality, price, proximity, labor practices, craftsmanship and factory capacity are among them. Product sourcing is a complicated topic. In this document we provide our views. We are faced with every day decisions on how best to make environmental choices. Here are some principles that we use to help guide these decisions and move us toward creating no unnecessary harm through our business operations. 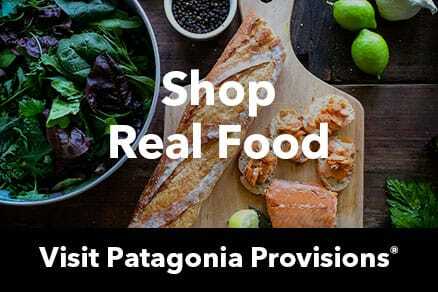 Implementing preferable purchasing practices is an effective way in which Patagonia can further its commitment to environmentally and socially responsible thinking and action. These overarching principles are intended to guide purchasing decisions and help evaluate alternative product and service procurement for purchases that fall outside of our core apparel supply chain and fourfold business process. We aim to partner with service providers that embody the same principles as Patagonia—prioritizing quality work, minimizing harm to the environmental, and maximizing benefit to society. These principles provide guidance for internal teams on how to select service providers that align with our own mission and ethos. While we don’t mandate the use of any specific building standard or certification, we do require the integration of specific, sustainable building principles in all design, construction, use and end-of-use phases of any building, site and materials. These principles help us design, build and operate our facilities in a manner that continually seeks to reduce the environmental footprint of our operations along the lines of water use, water quality, energy use, greenhouse gas emissions, chemical use, toxicity and waste. We use paper in many of our business processes—printing at our corporate offices, producing catalogs for customers, putting hangtags on our products, and shipping goods in boxes across the globe. These principles aim to reduce our impact on the natural world from our use of paper products. Patagonia uses a variety of materials to transport, handle, store, protect and display our products. These principles provide a roadmap for material sourcing and decision-making for all packaging and merchandising processes, in order to minimize the impacts of these aspects of our business. Extending the life of garments, upcycling used materials, and recycling unusable garments allows us to keep materials flowing through the product lifecycle and support the ideals of the circular economy. These principles outline our approach toward circularity and end-of-life use of garments.